The advent of indirect calorimetry was a significant event in the history of animal and human nutrition. In whole body indirect calorimetry, the subject is kept in a sealed room or chamber, which is ventilated with a constant, measured supply of air. 'It is a setting similar to his habitual living and hence a more applicable measurement of energy expenditure.' The respiratory gas exchange of the subject is measured by the change in composition of the air going into the chamber and that of the air expelled from the chamber. Well-mixed samples of the chamber air are drawn to be analyzed for chamber air composition. The difference in 02 and C02 composition of the incoming and outgoing chamber air is used to calculate the energy expenditure and macro-nutrient oxidation of the subject. Two main types of indirect calorimetry systems exist. Closed-circuit indirect calorimetry involves the recirculation of the same air through the chamber. This can be performed by placing the subject in a sealed chamber. The recirculated air is kept breathable by removing the C02 produced by the subject and replacing the 02 consumed by the subject. The replacement of 02 is controlled by continuously monitoring the change in the volume of the gas in the closed breathing circuit. As the subject consumes 02, a sensor detects the decrease in volume and a signal is sent to an external source to release constant calibrated pulses of 02 back into the system to restore the original values. The rate of 02 consumption is measured by recording the amount of 02 that is added to the air during recirculation. 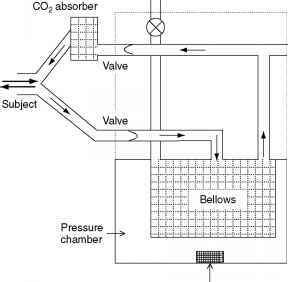 The C02 produced by the subject is removed from the recirculated air by an absorber attached to the system and the C02 production is measured from the increased weight of the absorber (Figure 1). Open-circuit indirect calorimetry involves a system in which both ends of the breathing system are open to the atmosphere. The inspired and expired air are kept separate by means of a three-way respiratory valve or non-rebreathing mask. The expired gases are collected into an air-tight bag or are frequently sampled or continuously analyzed for 02 and C02 content. These two terms are also used to describe some of the many other forms of smaller indirect calorimeters that have been developed over the years. Figure 1 Closed-circuit metabolic chamber in which the subject's oxygen consumption is measured to calculate the corresponding energy expenditure. The change in volume of air in the system is constantly monitored by the sensors and a measured quantity of oxygen is added back to the system. Carbon dioxide is taken out of the recirculated air by a CO2 absorber. These can be categorized as laboratory or field techniques based on their portability. The instrumentation used for each varies in complexity and the degree to which they restrict the subject's movement. Metabolic cart is a common name for a semiport-able respiratory gas analyzer that has been made small enough to be placed on a cart with wheels so that it can be rolled to different locations within a building. Two designs are generally available: the ventilated hood and the mouthpiece system. The ventilatory hood system is an open-circuit indirect calorimeter that usually consists of a pliable plastic or rigid Perspex hood placed over the subject's head with a latex or thin plastic apron providing a rough seal around the neck or chest. These allow air to be drawn across a subject's face while in a reclining or lying position. For longer term measurements, ventilated plastic tents are available that cover all or part of the patient's bed. Since these hoods operate on a suction principle, a tight seal of the hood is not required. 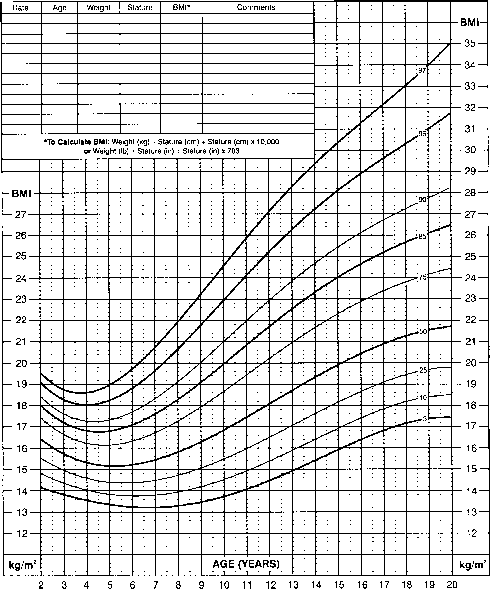 For field measurements, whole body transparent plastic ventilated boxes have been used successfully in infants. Many of the ventilatory hoods are constructed by researchers from the components according to the requirements of their study. The components include a pump, a flow meter, and a means of regulating the airflow. Samples of the air drawn from the hood can be directed to gas analyzers, which are usually connected in series to the hood. Respiratory gas exchange is calculated from the difference in O2 and CO2 concentration between the air entering and exiting the hood and the controlled rate of airflow (Figure 2).